FANCL strongly believes that it is vital to provide diverse educational and cultural opportunities for our youth. This year, as Principal Sponsor and Charitable Partner of First Initiative Foundation, FANCL has fully supported the Foundation’s “World Before Time” fundraising gala dinner on 6 June. 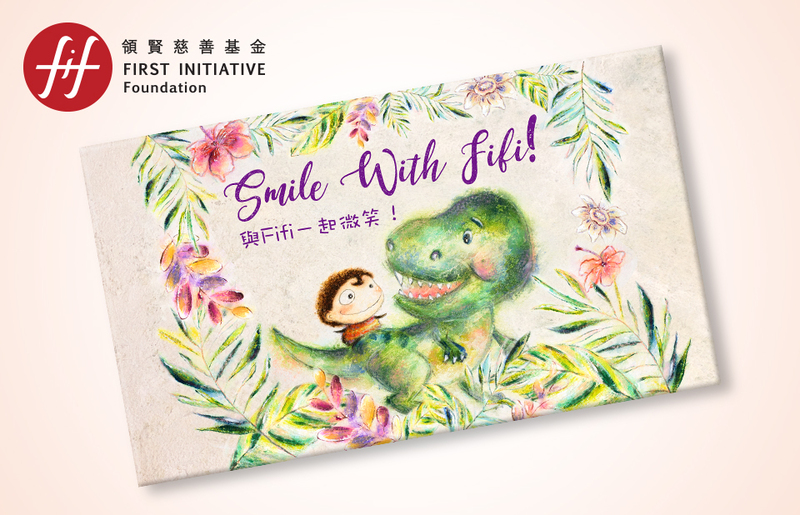 Meanwhile, we have joined hands with the Foundation to launch a special FANCL edition of 2 volume book set for children “Smile With Fifi!” and accompanying activity book “Fifi and Friends”. We hope these wonderful publications will lead all readers on a magical and informative journey of discovery into the world before time. In addition, from 7 to 27 June, “Meet the T-Rex” exhibition will also be organised by the Foundation at IFC Mall, showcasing an authentic and full size T-Rex skeletons dated 65 million years ago. The exhibition will certainly be the best weekend edutainment for families, while accelerating the integration of arts, culture and creative education.